The Problem: R2900 lift cylinders suffering premature failures, including snapped necks, cracked base caps, cracked glands and leaking seals. The Goal: To build a new cylinder that would withstand high stress environments, eliminate the recurring issues and cost less than the standard OEM product, with the aim to extend the service life of the cylinders. 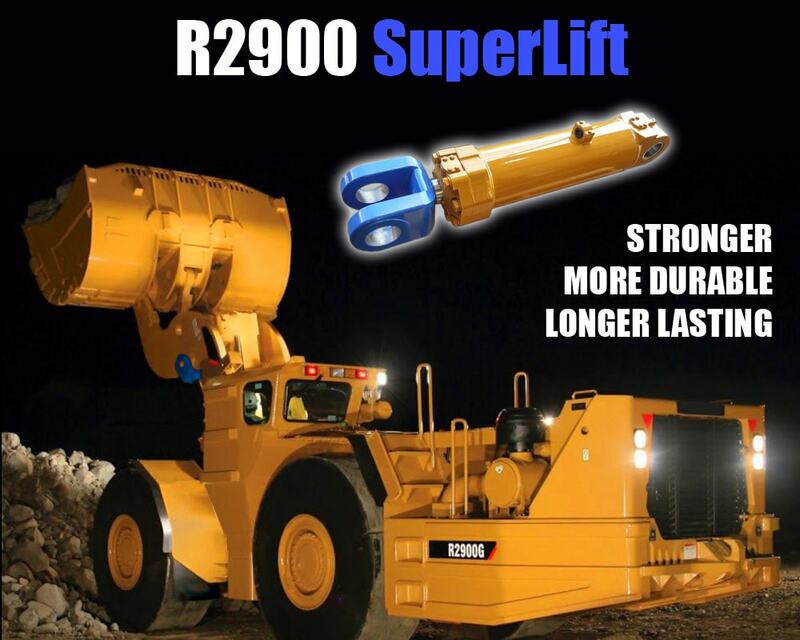 The Result: The R2900 SuperLift Cylinder! Our client opted to switch to our R2900 SuperLift cylinders during a full machine rebuild cycle and over a year later, they have not suffered a single failure. The featured R2900 Forged Rod has now been in circulation for a decade. To date (April 2019), we have not been informed of a single forged rod snapping, which was a common failure in the standard cylinder. The latest variation of the standard R2900 Lift cylinder is now over ten years old. This means, that by resealing and rebuilding, you could be putting money into ten year old cylinders, with ten year old barrels! During a full machine rebuild, wouldn’t it be better to upgrade the cylinders, with tougher, newer and improved components? We won’t go as far as giving you a direct comparison to the OEM price, as this often changes. But, we can tell you that our SuperLift cylinder has consistently remained in the region of 15-20% cheaper per unit when compared to the OEM. So why pay more for less? Want to learn more? Click below to download our full flyer or contact us for more information and a no obligation quote. We welcome your questions!